My name is Sarah and I am the face behind TheReadingZone. I am a former 6th grade Language Arts teacher and current high school English teacher who strives to instill a love of reading and writing in her students. I am a National Board Certified teacher and a regular contributor to The New York Times Learning Network Blog. I can’t imagine my life without books- the many overflowing bookcases in my house and classroom are a testament to this. 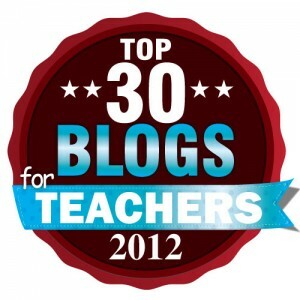 When I began teaching I discovered the lack of middle school teachers who blog and set out to make a difference. I read and review all the books I place in my classroom library and hope that my reviews can help other students, parents, teachers, and librarians choose the perfect book. Now that I have taken my journey into high school, I continue to share my love of reading and writing with my students. I also try to integrate as much tech as I possibly can. Reading and technology do not have to be at odds! I teach at the #1 STEM high school in the nation and I am also an alumnus of the school. I am passionate about science and technology and that tends to carry over into my English classroom. I love my students. I love raising monarch butterflies. Besides my rampant love of books and writing, I also work as a volunteer staff member for the Monarch Teacher Network. My students and I raise and release monarch butterflies every fall, track their migration each winter, and await their return in the spring. In February 2008 I was privileged to travel to Michoacan, Mexico to visit the overwintering grounds of the monarchs, which was a life-changing experience. My blog focuses on reading, with a lot of writing and writing workshop thrown in. I also talk about my classroom and classroom projects. I currently team-teach humanities, which is English and World History in one double-period. I also teach (solo) a section of senior English. I frequently share my classroom experiences and projects here on the blog, especially when they combine more than one content area. I work hard (alongside my colleagues) to collaborate and model as much real-world learning as possible. I do accept review copies of books. I promise to read each book but cannot guarantee I will review each one. A review is a courtesy, not a guarantee. I tend to focus on young adult literature, fiction and non-fiction. I also review some middle-grade fiction/non-fiction. Please email thereadingzone@gmail.com for mailing address. I love reading your blog. I just discovered it. How do you find the time to read all these books? I’m so glad I found The Reading Zone. I’ve been working with 7th & 8th graders for many years, and this fall we will have 5 classrooms of 6th graders in our building as well. I need all the help I can get for this new adventure!! Thank you. No problem, keep up the good work… 7th and 8th graders can be hard… check out some of my archives for some good reads for all ages. p.s. i’ll see you on fri. I like the stuff you have going on here. I’m in the process of establishing a blog reviewing YA literature. I’d be grateful for any advice/thoughts you have on it. I want to ask you a question re your entry about Hugo Cabaret and am not sure I’m writing in the correct window. I chair the Illinois Reading Council Studies and Research Committee. We are currently compiling a list of books for struggling readers in grades 5-12 that IRC members have suggested. One of the recommendations wasthe Invention of Hugo Cabaret. As a result I looked at the book and was surprised at how advanced and generally difficult the vocabulary seemed to me. The struggling readers I have worked with in grades 6-8 are generally reading at about a 2-4 grade level. Many qualify for free lunch and most are African-American. I wouldn’t think the book would appeal to them. Can you tell me a little more about the background and reading level of your 6th graders who you said did enjoy this book? As the book was recommended by two participants in our survey, we surely are including it in our list but I would appreciate a little more details about who it appeals to. I’m so happy that I just discovered this site. I’m a retired teacher in California. After my 38 year I ended my career teaching reading to middle schoolers. Reading is the best way to connect with your students. The greatest thing you could do for them is to talk and find out what they may or may not like or have an interest. I’ve found that if I decide what may interest them it may not match their interest. When the real interest emerges I have often been totally surprised! When you say you teach Language Arts…how is you schedule set up. I teach L.A. five sections for 42 minutes and there is another teacher who teaches writing…is that how your school works. I LOVE this websites…it restores my faith!! I just found your blog and have enjoyed reading your posts. I teach high school, and two of my classes are reading classes for 9th graders who read below grade level. I use tons of YA lit, so I enjoy your reviews and ideas. Do you purchase books yourself for your classroom? I know I do. I’m way too impatient to try to wade through the red tape of purchase orders, etc. If the kids and I want certain titles, I end up looking in local bookstores or ordering from the internet. I’ve always felt a little guilty about this, and I suffer through looks of disbelief and outrage from other teachers. I was very relieved to read in Readicide that K. Gallagher budgets $50 a month personally to buy books for his classroom. Thank you for creating The Reading Zone. I plan on checking it often. I have just started my own year-long reading quest called 365 Read Alouds. Each day I review a children’s book and think about how it connects to units of study, community building, reading skills, etc. I just discovered your blog and I’m so excited to read it! I also teach 6th grade and it’s so nice to see another 6th grade teacher who loves books and writing as much as I do! I have just found your blog and twitter. It is nice to find other elementary teachers, especially those who love books. I love your thinking on this site. I love books, too, and love reading about books. Could you please share your thoughts on technology and reading? You know, reading that is not done between a front and back cover? Would it be alright if I link your page onto mine? I found you today, in the midst of the Richard Peck controversy, and then I kept reading. This is just to say that I love what you are doing here. Hi! I’ve really been enjoying your blog since I found it a few weeks ago. I’m working on my certification to teach middle school language arts and/or social studies, so I appreciate your insights on middle schoolers, motivation, literacy, etc. I’ve been trying to keep track of education-related materials at my own blog, and it’s exciting to find so many teachers willing to share their reflections and resources! Thanks! I enjoy your blog. You write about books that my son really loves – and introduce ones that are new to us and we are eager to try. Thanks for being so passionate about books and reading and for sharing your enthusiasm on your blog. Happy 2010! I just found your site while searching for how to schedule writing and reading in the same block. I, too, am a member of the MTN here in Canada and raised and released over 60 monarchs this past summer. Did you see the monarchs emerge on the ISS? How cool was that???!!! I teach a Gr.3/4 split this year. I love to keep current with what kids are reading and can boast that I have the largest class library in our school. I definitely will keep a regular check on your site! It looks well worth exploring! I used to teach sixth-grade LA, too. It is wonderful to see so many teachers who are passionate about their students’ reading. As a mother of 2 (ex) reluctant readers, finding strategies to turn my kids into life-long avid readers is a passion. I certainly wish their own teachers would make this a priority as well! I have spent a lot of time working on an online reading incentive program, whereby the kids earn various little rewards and mini-game privileges by logging their reading time. My kids, their friends, and our growing community of users have been reading and reading, both for the sheer pleasure of it, as well as the incentives of ‘playing’ and sharing with their friends online. There are also teacher tools available, for teachers to set up a group for their class, get their students to join, and track reading (time and books). Kids and teachers get a nice visual of the books their group is reading. Teachers can reward the kids as a group as well as individually based on reading targets. Rewards can be as individual as the kids, and as simple as a little ‘high five for reading!’ message on their page. The site is completely ad-free and safe, and parents have been giving me wonderful feedback. We’re very excited, and would love to hear your thoughts. Please do feel free to visit (and register!) on http://www.reading-rewards.com. Thanks for sharing your knowledge and experiences. I teach 8th grade English, and sometimes I feel like I am in a vacuum. I really appreciate your book recommendations and your website suggestions. I have already signed up for the English Companion Ning. Thank you. Thank you. Thank you. Hi, Sarah, et al. These are the types of discussions we need. Thanks very much. You might be interested in perusing my new book Poem Central: Word Journeys with Readers and Writters, Stenhouse Publishers, ME. Watch professional poets, lay folk, teachers, students in the act of reading and making poems…bringing poems into our lives and into the lives of our classrooms.